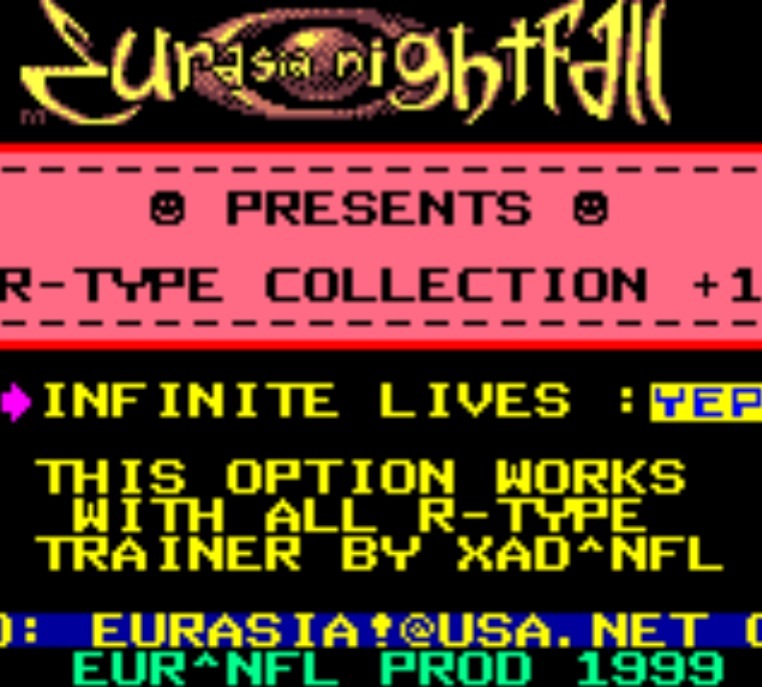 This is a very old trainer menu for Gameboy/Color made by me for Nightfall & Eurasia, i have decided to release the source. Source comments are in Italian Language. The archive contain: source,data (rnc packed),compiler/linker (windows 2000/xp) and a .bat (batch file) for build the release. I have found a very old archive with some .. but not all, Gameboy Color Trainer by our group. This is a old Gameboy Charts from Wayne Kerr, charts include a lot of oldskool groups, like: Capital,Eurasia & Nightfall,Paradox and so on.